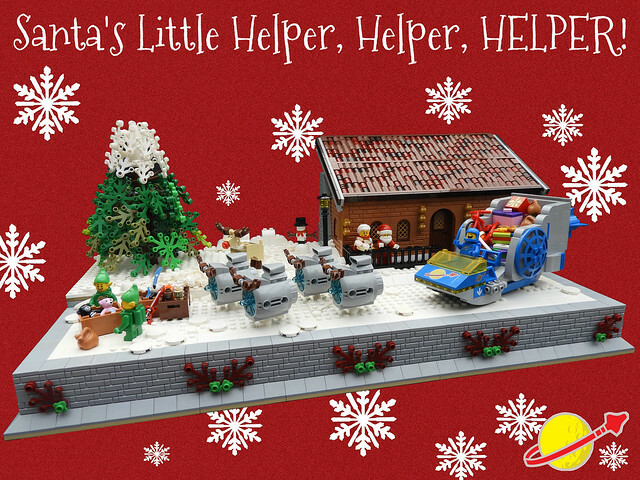 Santa's Little Helper, Helper, HELPER! Christmas is celebrated all over the galaxy, and since it's a big place, naturally Santa needs a hand from time to time. Luckily he's got Benny, who seems to love Christmas almost as much as spaceships. Benny has quite the sleigh, in fashionable classic space colors. And who needs flying reindeer when you have four turbo engine pods? Rudolph approves.